Burglaries, thefts and beatings perpetrated before adulthood. Teenagers begging other teenagers not to shoot them dead. These are the stories I heard on my frontline placement, volunteering as a youth worker at an East London youth justice charity. I began my placement with the view that living a criminal lifestyle was wholly a free choice. And an active one. That view changed when a then-17 year-old told me of how he would deal drugs – and secretly slip the cash he made into his mum’s handbag to help her pay the family’s bills. He told me how ashamed he was of making ‘Haraam money’ (cash acquired immorally) but felt that disobeying his god was the only way he could help his family get by. Why did this child – and others like him – feel so backed into crime’s corner? One answer is that, for him, the gates of employment appear closed. 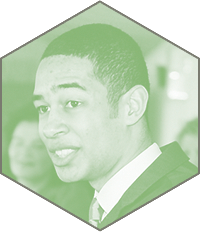 Too many school leavers do not have the basic skills and qualities they need to secure work and hold down a job. This goes some way to explain why 1 in 4 young Londoners are unemployed. At the same time, work’s standing as a worthwhile activity is undermined by a minority of irresponsible employers whose poor working conditions alienate young people from the labour market. Many young people I worked with took the view that work provided no dignity. And indignity was not an option. Frustrated and saddened by what I saw and heard – whether in placement or crossing paths with them on the local chicken shop circuit – I was compelled to develop an intervention that could act as an alternative pathway for at-risk young people. Through a relentless regime of masterclasses, presentations, prototyping, failing, succeeding, and failing again, Year Here helped me craft my frontline insights into a social venture: Cracked It. We’re a smartphone repair company. We train and employ young offenders – and those at risk of offending – to service the 29% of people who have a smashed smartphone screen. 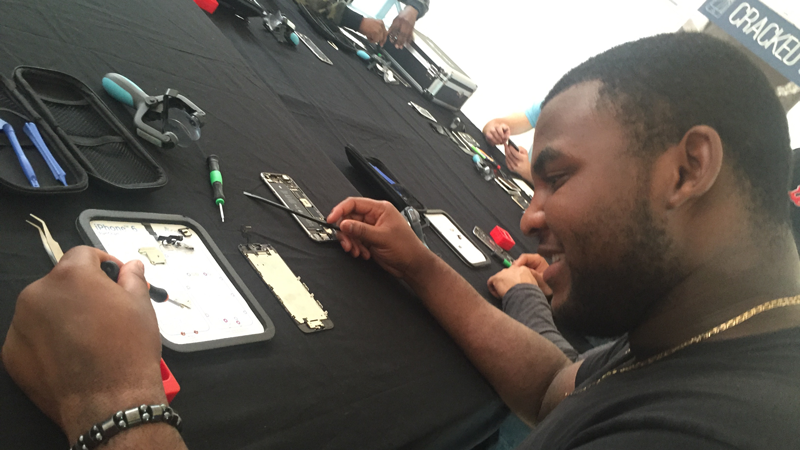 We harness the smartphone repair market to provide a positive and credible route away from crime, and towards employment. After training, we hire our technicians over a six-month period where they develop core employability skills and pick up workplace customs in a safe and welcoming working environment. We then support them to transition into permanent employment, akin to our inspiration across the pond, Homeboy Industries. Running Cracked It is the hardest thing I’ve ever done. Thinking about the issues I’ve described regularly keeps me up at night, as does the circus of being CEO, caretaker, youth worker and everything in between. But running Cracked It is also the most rewarding work I ever undertaken. There’s no feeling quite like when a young person tells you that they’re using Snapchat to whip up a string of phone repair clients – having used it in the past to broadcast the weed they were selling. In 2018, Cracked It was awarded Social Enterprise of The Year by the CSJ. Interested in applying to Year Here? We have two intakes per year, in the Spring and Autumn. Find out if we’re currently open for applications.